Nandipha Mnyuka trained at AMAC in 2007. 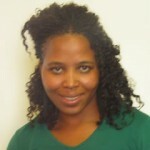 She has worked as a performer and facilitator with Simelela, as well as at Artscape in Amaza in 2009 and again in 2010. In 2009 she acted in the 48 Hour Festival in Zithini Indaba directed by Lifa Letsika.